Thai Poosam Kavady = 12th – 21st January – Dipika – The Light in your Spiritual Life. Please click on the PDF document link below to view the article “Thai Poosam Kavady = 12th – 21st January” and kindly read and learn more about this subject matter. *** F.Y.I Dipika has the 65 articles Sub-Menu on “POPULAR READ ARTICLES”. You can Ctrl-click (http://dipika.org.za/?page_id=240) to_a quick link to the 47 articles on DIPIKA. *** F.Y.I. 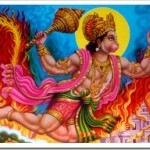 Dipika has the 30 articles Sub-Menu on_ “MANTRAS for procedures to resolve one’s specific problem/s in life.”. You can Ctrl-click (http://dipika.org.za/mantras-for-procedures-to-resolve-ones-specific-problems-in-life/) to_a quick link to the 30 articles on DIPIKA. *** F.Y.I. Dipika has the 16 articles Sub-Menu on_ “2018 Prayer Dates & Festivals”. You can Ctrl-click (http://dipika.org.za/?page_id=112) to_a quick link to the 16 articles on DIPIKA. *** F.Y.I Dipika has the 14 articles Sub-Menu on “Ekadashi – The Day of Lord Hari”. You can Ctrl-click (http://dipika.org.za/?page_id=191) to_a quick link to the 14 articles on DIPIKA. 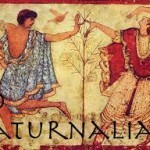 Saturnalia Festival (17th – 25th December).